There is nothing I love in fashion more than fall collections. The rich colors, the idea of covering up after months of baring skin, and substantial fabrics in intricate patterns. 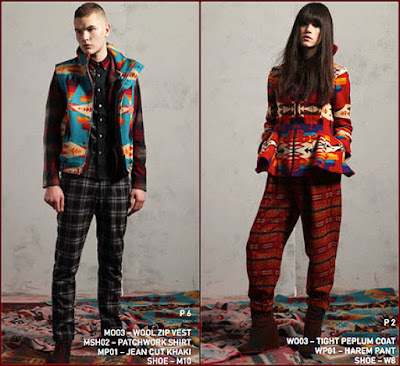 Pendleton for Opening Ceremony has got me wishing for fall and its only July. I can't wait to snuggle up in a sweater dress or something with a slight shimmer like this silver dress without breaking a sweat. Oh fall...come soon!